Oak Park Residents Only. Please complete all sections, submit and print. 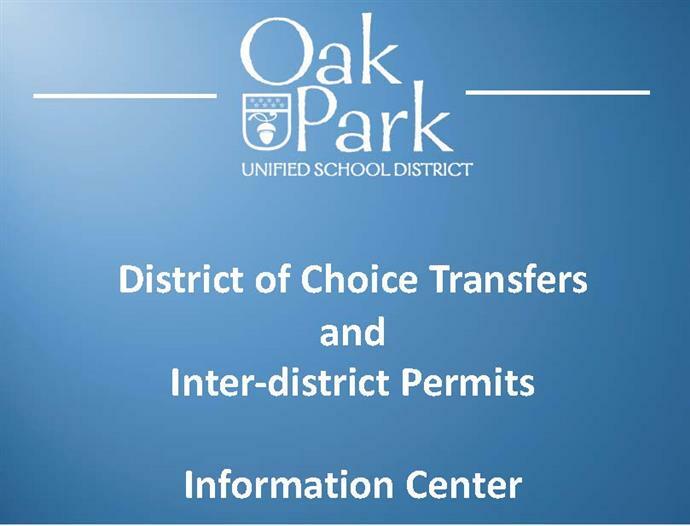 Bring printed document to Oak Hills along with a copy of student's birth certificate, immunization records and proof of residence. 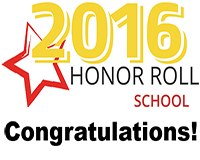 Oak Hills Named a 2016 California Honor Roll School! Oak Hills has been named a 2016 California Honor Roll School by Educational Results Partnership (ERP) and the Campaign for Business and Education Excellence (CBEE)! 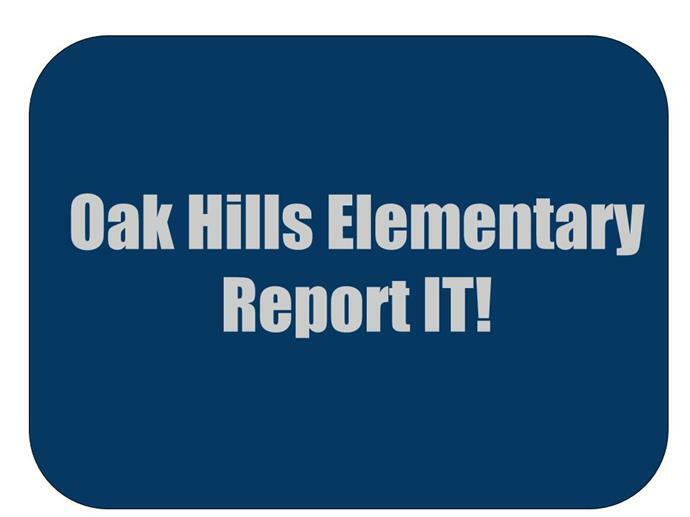 Welcome to the Oak Hills Elementary School family. We believe that the school staff and our families form a vital team, working together to assist our children in their academic, social and emotional growth. At Oak Hills we set clear expectations and goals at high levels. We do this because we know that every member of our school community will work together to ensure that each individual achieves at the highest level. As one succeeds, so does the team. 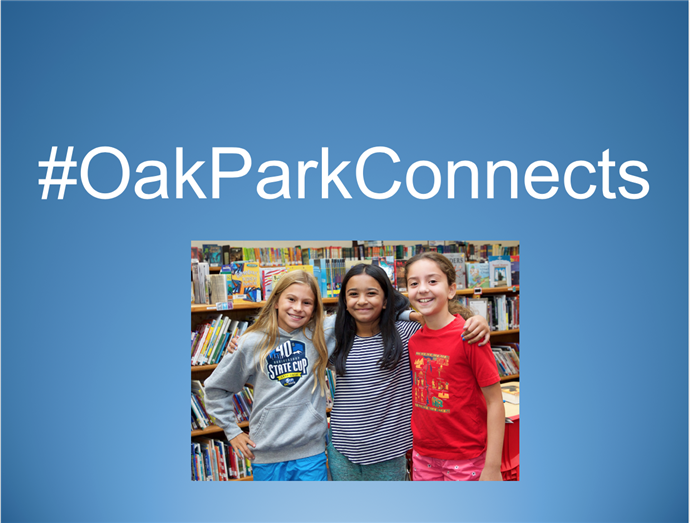 Oak Hills is a very special and unique learning community that has been recognized as a leader in elementary education. 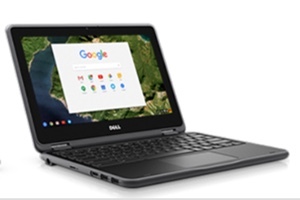 The school has been recognized twice as a National Blue Ribbon School by the U.S. Department of Education for meeting national standards for school excellence. We have also been named a California Distinguished School by the California State Department of Education for excellence and as a school with high academic standards, a well articulated curriculum,and an outstanding learning environment. We earned the Bravo Award from the Music Center of Los Angeles County for an exemplary program in the visual arts and we were named for Excellence in the Arts by the California Department of Education. We have also been recognized by the U.S. Environmental Protection Agency, the California Department of Energy and Resources, and the County of Ventura for our Zero Waste, recycling and waste reduction programs. We hope that the information in the School Handbook will enable you and your student to understand our programs and practices. Please take a moment to review this handbook, especially this year as there have been some minor changes that were made to better serve our school community.